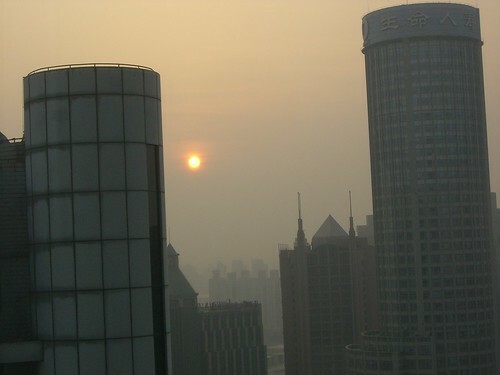 Blogging Shanghai: the sun peaks through the smog, originally uploaded by Hugger Industries. Here’s a trippy photo from our Bikehugger blogging pals who are participating with us at the Intel Developer Forum. Intel bloggers are one the scene — some battling Internet connection snaps. Here’s a cool post by Intel’s utlra mobility man Uday on the Mobility@Intel blog.